If you are looking for a highly sophisticated carpet cleaning service, then you are in luck. MyHome Avondale Heights uses a unique carpet cleaning system that leaves carpets dry in one hour. Our cleaning solutions also infused with Healthguard to ensure that mould, fungi and bacteria are eliminated from your carpets. Our unique cleaning methods bring back the natural balance, colour and brightness to your carpets. MyHome dry-touch leaves no wet rug smells or chemical odours after cleaning. What you will experience is a light and lemony fresh fragrance. In order to avoid any type of distortion of your carpets, we steer clear of harsh chemicals, excessive heat and moisture. A thorough vacuuming is also done prior to each and every MyHome carpet dry touch cleaning service. While using carpets in your home is a personal preference, there are lots of factors that can influence your decision. People who use carpets enjoy the different designs, colours and materials used to make them. Carpets have a lot of practical purposes as well. For one, it keeps your home warm and helps to reduce energy bills. It’s also great to have inside the home if you have children and pets running around. However, carpets also need to be cleaned differently to tiles. You can ensure that your carpets are hygienically cleaned by hiring a professional carpet and rug cleaning company. 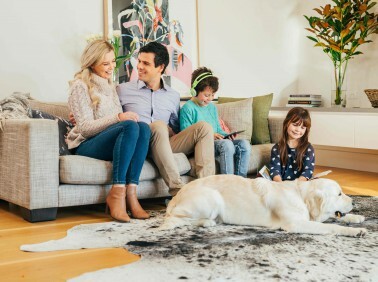 By using a professional carpet cleaning company such as MyHome carpet cleaning Avondale Heights, you can ensure that your carpets are clean and fresh all the time. It’s also a great way to ensure that your carpets last longer and stay in better condition over time. Our MyHome unique dry touch cleaning system ensures that your carpets stay looking great and smelling clean for a longer period of time. MyHome carpet cleaning is different from others because we make use of innovative cleaning methods. We don’t use water excessively on your carpets, rugs or upholstery and our dry touch method ensures that your carpet is clean and dry in just one hour. We are 100% confident that our MyHome Avondale Heights carpet cleaning service will put a smile on your dial. If you are not happy, we will clean your carpets for free. Cleaning your carpets is very different from cleaning other furniture inside your home. It requires special equipment and detergents. This is why MyHome carpet cleaning services are priceless. We do not use hot water extraction or harsh chemicals to clean your carpets and rugs. Hot water extraction can lead to damaged fabrics and fibres inside your carpets. It can also leave your carpets damp, smelling mouldy and riddled with chemicals and residues which only attract more dirt. 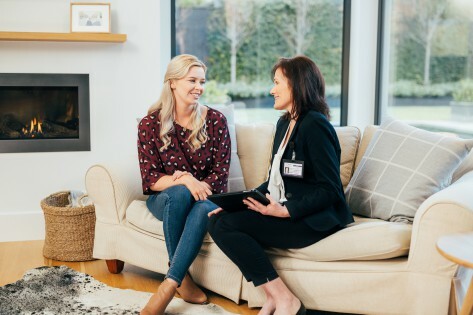 So if you want a carpet cleaning service with a difference, simply reach out to MyHome Avondale Heights dry touch carpet cleaning services on 13 22 31 or fill our online enquiry form. We will get back to you as soon as possible.